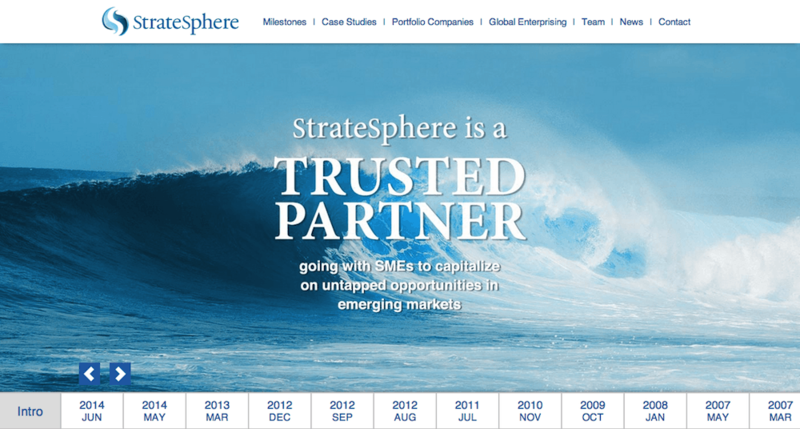 The StrateSphere.com website is a CMS built with Django. This was a collaborative effort where I created all of the jQuery effects on the site including a parallax effect on the home page and a full-page timeline slider. I also coordinated with the project lead to create the Django models and views. The site is completely responsive and also includes a blog (news section).